Fr. Jeffrey Scheeler, OFM came to the Church of the Transfiguration as Pastor in December of 2017. 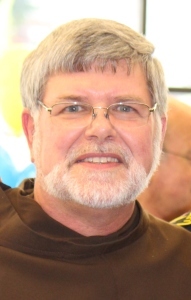 He previously worked in other parishes in Texas, Indiana, and Ohio, as well as campus ministry, Franciscan formation, and in his Franciscan province’s administration and leadership. Fr. Jeff made first profession as a friar in 1975 and was ordained to the priesthood in 1980.